Today’s resorts are being enhanced with features, amenities, services and facilities that reflect the evolution of travelers’ tastes and lifestyles. In turn, agents are being challenged to formulate new strategies to position the new innovations and the benefits they offer their clients. First and foremost, travel advisors would be well served to develop specialties within the all-inclusive resort market to gain the expertise they need to match products to clients. “Successful agents specialize and are uniquely qualified to match the right hotel with the right client because they know the product intimately,” said Gary Sadler, senior vice president of sales at Sandals Resorts International (SRI). 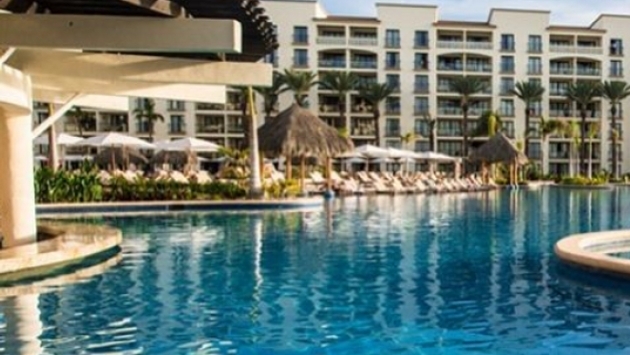 Here are five strategies to help you expand your all-inclusive resort sales. Be selective about your resort partners. With a virtual universe of resort experiences available to clients, travel sellers must evaluate their inventories to focus on a handful of high-impact products and brands. “The most important strategy is to select a small group of partners you know intimately versus offering too many partners you don’t know as well,” said Frank Maduro, vice president of marketing for the AIC Hotel Group. Perhaps the best way to proceed is one of the most basic: qualify your clients to determine their vacation needs and desires, keeping in mind that expectations are trending higher as travelers have more access to information with which to compare travel experiences. Sell products that connote exclusivity. Several new and emerging product categories have emerged to service clients who demand more in terms of quality. Among the strongest trends is the proliferation of resort “concierge-level” accommodations that offer “hotel-within-a-hotel” exclusivity. These accommodations ramp up the vacation experience to another level with superior furnishings and décor, premium room amenities and an array of personalized services. They provide guests with the diverse options of a large resort combined with the services, features and facilities found at a premium boutique hotel. “So many resorts have added private areas for guests who book the ‘premium’ or club-level rooms,” said Jennifer Doncsecz, president of VIP Vacations, adding that amenities generally include upgraded room service menus, private pool areas, beach butlers and separate check-in areas. “Consumers actually get the unique feeling that they are at a whole different resort but have access to everything within the entire resort complex,” she explained. Capitalize on the expanding adults-only market. Another fast-growing trend among all-inclusive resorts is the expansion of the adults-only category for couples planning destination weddings, honeymooners, romantic partners seeking quality time together and groups of singles. In the Dominican Republic, new adults-only properties include the 320-room CHIC Punta Cana on Uvero Alto Beach; the 1,007-room Hotel Riu Republica, set on Punta Cana’s Arena Gorda Beach; and the 149-room Bahia Principe Samana Hotel, overlooking Samana Bay on the island’s Atlantic coast. In February, Royalton Luxury Resorts will debut the 455-room Royalton Negril and the 94-room Hideaway at Royalton, an adultsonly boutique resort within the Royalton Negril, on the resort town’s Seven Mile Beach. 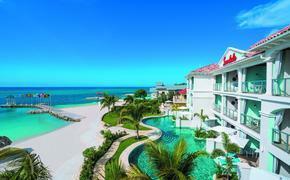 In November the adults-only, all-inclusive Warwick Hotel opened in Nassau, Bahamas. AMResorts currently operates two adults-only properties in Jamaica: Secrets St. James Montego Bay and Secrets Wild Orchid Montego Bay. The adults-only all-inclusive format isn’t necessarily just about excluding children but is focused on providing a premium experience for millennials, 50-something baby boomers and Generation X vacationers. Focus on customization. Today’s knowledge-empowered travelers demand travel experiences that mirror their desires and expectations. Simply put, as resorts grow larger, more sophisticated and more feature-filled, vacationers are seeking to have every aspect of their experience – from activities to cuisine to amenities and service – match their personal desires. In turn, the focus on specialization by resorts presents a similar challenge for travel agents, who must hone their personal talents and experiences to offer services that center on their clients’ specific vacation needs.